Story: 70 years after a horrific alien war, an unusually gifted child is sent to an advanced military school in space to prepare for a future invasion. The Earth was ravaged twice by the Buggers, an alien race seemingly determined to destroy humanity. Seventy years later, the people of Earth remain banded together to prevent our own annihilation from this technologically superior alien species. 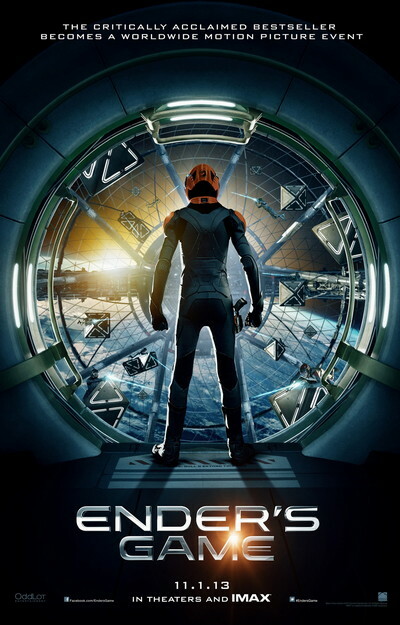 Ender Wiggin, a boy of only six, may become the savior of the human race. He is separated from his beloved sister and brought to battle school in deep space. He will be tested and honed into an empathetic killer who despises himself as he learns to fight in hopes of saving Earth and his family.